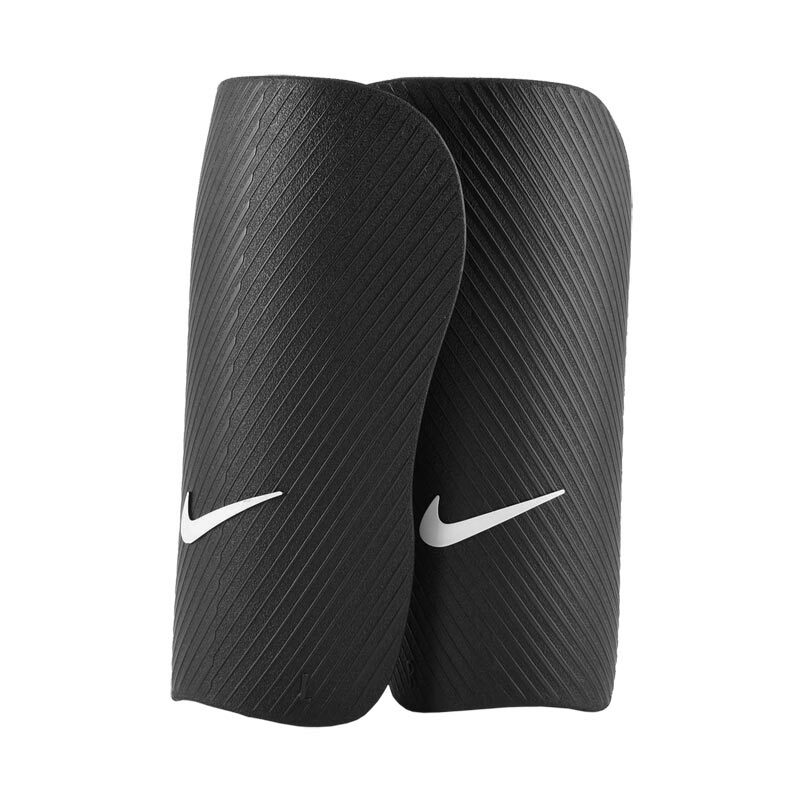 Nike ® J CE Football Shin Guards feature a durable, lightweight shell for excellent impact protection on the pitch. Materials: Shell: 87% polyethylene/13% EVA. Strap: 56% polyester/38% rubber/6% nylon. 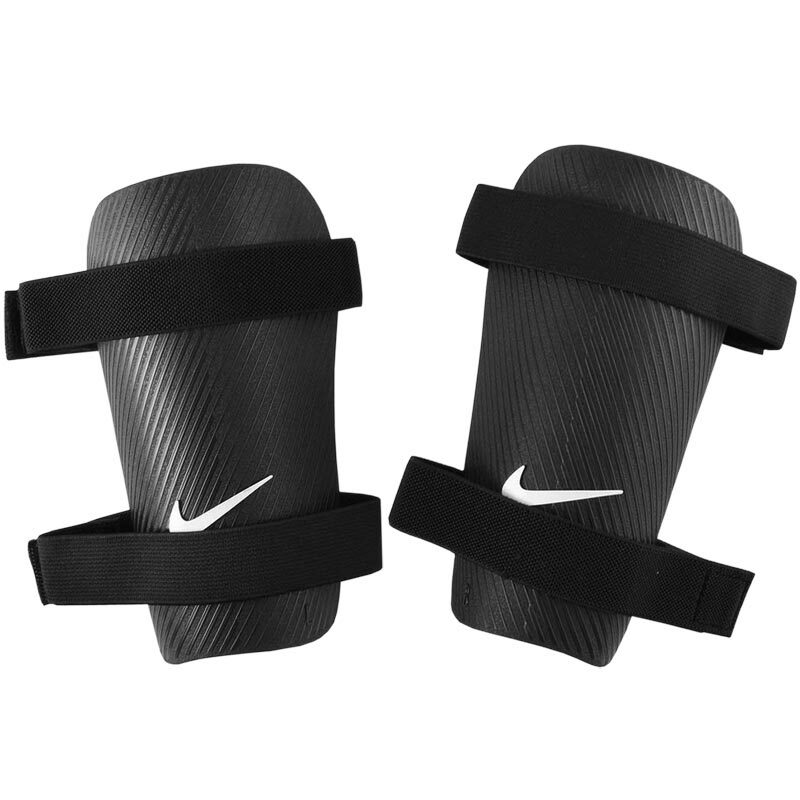 Nike shinguard sizes are determined by height. Use your height along with our size guide to find your correct shinguard size. The bigger the shinguard size, the longer and wider they are to accommodate larger leg diameters. 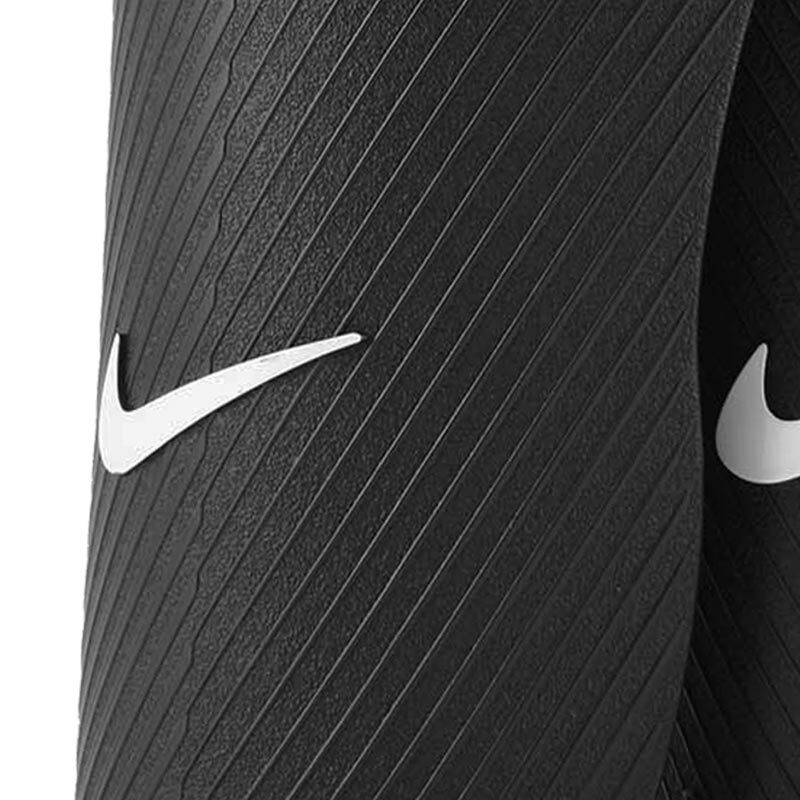 Shinguards should fit from just above the bend of your ankle when you flex your foot to a couple of inches below the knee.